Despite the transfer window having closed on January 31, the rumour mill is forever in full swing with a host of players being touted for moves to new clubs in the upcoming summer. One of the stories which keeps appearing week after week is that linking Lille winger Nicolas Pepe with a move to Arsenal. The 23-year-old has impressed for the French club since he joined in 2017 from Angers for a fee in the region of £8.8million. Gunners boss Unai Emery has reportedly taken a keen interest in the prolific attacker as he aims to bolster his squad for the 2019/20 campaign. But having only played his football to date in France, how much do you know about the man apparently high up on Arsenal’s hopping list? 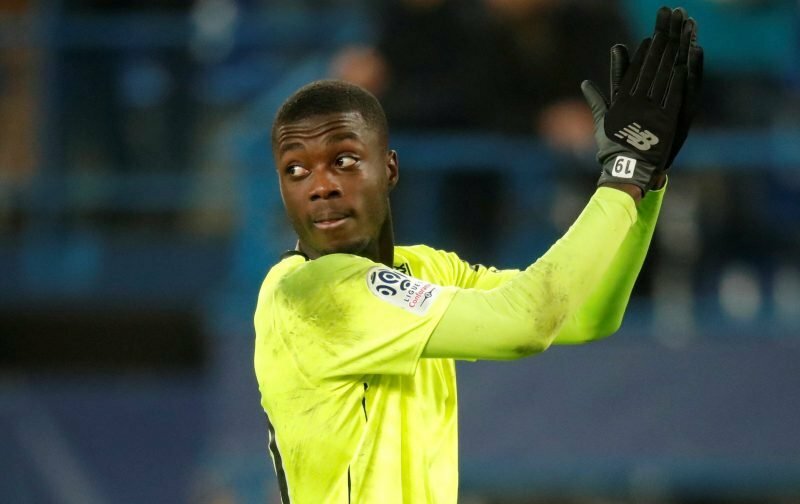 Here Shoot shares five Nicolas Pepe facts we hope you can use to impress your mates, just in case he does make a switch to the Emirates Stadium.